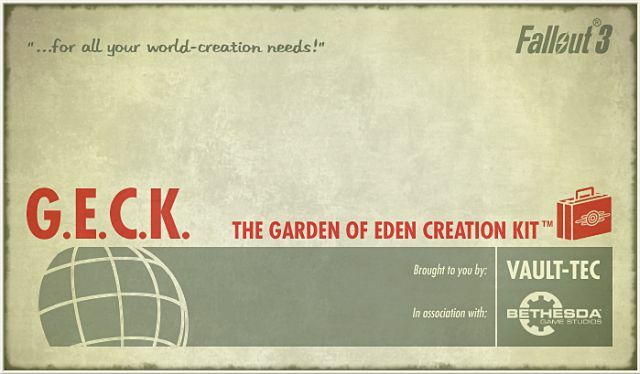 Bethesda Softworks has released a new toolkit G.E.C.K. (Garden of Eden Creation) for their newly released game Fallout New Vegas. GECK allows players to create, modify or expand the game anyway they want from, building landscapes, towns, and locations to writing dialogue, creating characters, weapons, creatures, and more. Enjoy playing the Fallout New Vegas with GECK toolkit, if you are having any problems while instalilng Fallout GECK please post a comment and visit this link for New Vegas G.E.C.K wiki, guides and tutorials.